It is with heartfelt sadness that we announce the passing of a loving wife, mother and grandmother on February 19, 2019 at 81 years. Loving wife and best friend to the late Louis (2014), with whom she had celebrated 50 wonderful years of marriage. Loving mother to Michelle (Marc) Cooper. 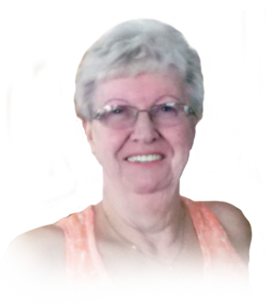 Adored grandmother to Jocelyn (Tanner) Gallant and Jake Cooper (Cassy). Dear daughter to the late Wilmer Hewitt and Delphine Shaw. Beloved sister to George (Gail) Hewitt. Loved Godmother to Vicki Manion. Treasured sister-in-law to the late Clifford (late Doreen) Desjardins, Henry (late Carol) Desjardins, late Raymond (Dianne) Desjardins, Cecile (late Ken) Bilton, the late Blaise (late Myrna) Desjardins, late Lawrence husband to (Bernadette) Desjardins, late Fille wife to (Bob) Myers. Pat will be missed by her extended family. Fondly remembered by Don & Denise Howson. If you so desire, memorial donations to the Canadian Cancer Society would be appreciated by the family. Visiting Friday, February 22, 2019 10:30 am followed by a service celebrating Pat’s life at 11:30am at Families First 3260 Dougall Ave. South Windsor, 519-969-5841.